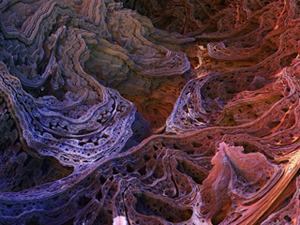 This wallpaper was inspired by a recent watching of the BBC "Life" documentary series. The whale could probably use some "dirtying up". I love belugas, they have a lot of personality. Your seascapes are always nice, maybe a kelp garden would be nice too? My favorite is 3 (sans whale), but there doesn't seem to be a 3200x1200 version. Is it possible to get that? I think it would be awesome to have a narwhal instead of a killer whale. They are indigenous to arctic regions and are extremely rare. I love the colors here. I feel refreshed just by looking. Fantasia is one my all time favorite movies. This looks inspired from that movie. Great work!! Would it be possible to have this without the creature? I think it would still nice with out it. "Subarctic: really growing on me"
I have to tell you, this one is really growing on me. I initially rated it an 8, but the more I leave it up on my screen (dual-screen 2560x1024), the more it's turning into one of my favorite works that you've ever done. Your attention to detail is as good as ever. Thanks again for the beautiful work! The right size has been posted. Thanks! I LOVE Subarctic!! I look forward to seeing the 3360x1050 file updated to the right size. "Makes me want more screens..."
There must be a bug in the Photoshop Action I use to slice up the multiscreens. I'll try to make sure the next ones are correct. Thanks for the heads up on the incorrect files (I've uploaded new ones)! The 3360x1050 render is actually 5040x1050 pixels. I'm really enjoying the slight color shift in the multi-screens. The blues appear ever so slightly green-shifted toward cyan, making the ocean warmer and more appealing to my eyes. The ice looks real, yet other-worldly. There's some really interesting stuff happening between the lighting, texture, and surface materials. 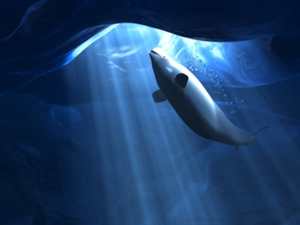 While the ice and volumetric lighting are the stars, the orca really completes the scene, so no pickles for me! 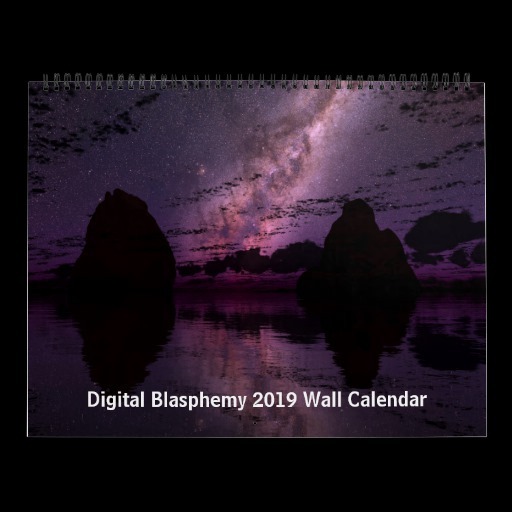 The "digitalblasphemy.com" watermark on the 5120x1600 file seems to be placed wrong; it's not at the edge of the screen like in the other files. the 7680x1600 file appears to be corrupted? I think this turned out far better. I didn't think the final one would come under as harsh judgment as it did. The whale isn't THAT bad :P I mean I personally am glad it's there because it adds "life" to a picture that would otherwise might seem a bit empty. You did great work Ryan. Thanks for this one!! The whale looks to smooth..too perfect. Noticed the multiscreen 5:4 images are not available. 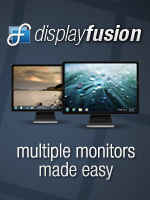 I've just posted the multiscreens. Is the dual screen version coming soon? This one is nice, but the whale itself doesn't fit into the environment. He seems to be too... hell, I don't know how to describe this in english. It looks a bit too perfect, if you're knowing, what I mean... like the whale was copy & pasted from a more perfect picture. But anyways a very nice idea and pic. He's still rendering the multi screens. Not even the main picture is multi screen yet. Patience, padawan. Is it just me or is there a man in the ice? reclining with his head to the right on the ice in the middle of the piece? Anyhow, must say the orca version is my fave of this. Keep up the amazing creations! I wasn't crazy about the first version posted, but really like this one - especially the change to the orca. I think the picture looks lonely without the orca, so I'll be keeping him/her up on my monitors for a while! Thanks for sticking with this one! I like the ice only version, but it's only single screen versions... Would be really cool to show the ice spanning two screens. I didnt like the Beluga, and if im honest i wasnt bowled over by the Orca. But after a while i've decided this is actually pretty good. 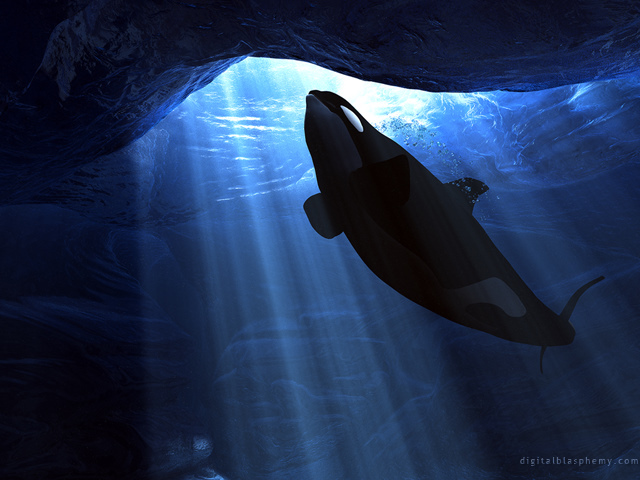 The detail of the Orca isn't amazing but i think the head/'eye' region, where the light is, is actually pretty good. Those who question the reality of the image, be it the light, wildlife etc need to remember this site is Digital BLASPHEMY! My understanding was that the site is about taking something real/scientific and turning it into art, occasionally at the expense of it's realism - that's the whole blasphemy part. As long as it looks as if it could be real, who cares?! Keep up the good work Ryan! This is actually the only time where I have'nt been imressed with your work. I'm sorry Ryan, but this specific picture is actually a bit dissapointing. But then again, we can't all be perfect! It just doesn't look realistic in any way. One thing is ofc the whale as mentioned before. The other thing: If someone falls through the ice, don't you always say that they should look for the dark spot, not the light? 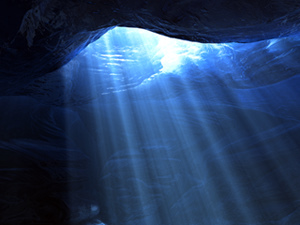 As the light is the ice, and the dark is the water? It just doesn't fit into the realism that normally is in your pictures! I won't ask you to remove the whale or anything, as David said: "It takes a great deal of practice and training to do well. If you want to learn to do it though, the only way is to actually do it"
"No Whale in Pickle Jar :)"
Love the pickle jar version without the whale best, due to blue pics of whales giving me hives from an over-similarity with bad oil reproductions at my step mother's therapeutic massage business. Without the whale? Perfect for me! It's a nice, chilly backdrop for this hot summer week. I have to admit the thumbnail of this image didn't impress me. I downloaded it, and on my big monitor found the details gorgeous and amazing at 1920 x 1080! Good work. I should have more faith about your images. I just love this one. I am a big fan of your underwater scenes. Water looks great. And light coming in is so cool. I really like the killer whale better than the beluga. Looks great! If software improves or whatever it takes to get more realistic texturing on the whale's skin, I would love to see you revisit the beluga someday. But this one is great! Thank you very much for the "Ice-Only" version! I will be sure to use it as soon as there is a Dual Monitor version. I really like the changes you made. Looks awesome! Sorry if we were a bit harsh with the first version. ryan I like this one a lot. Perhaps we can see more down the line with other whales and sea other creatures. The sans orca version is very peaceful and soothing, although I love the orca version as well. Wonderful work, as always! Thanks for this great final render! I like the ice more with more texture, though in some places it could also be rocks for me (but that's cool, too). The orca was a good idea. Due to its dark surface, there aren't those very bright lightning effects which I didn't like. Thanks for re-doing this, Ryan. I for one love the Orca and the scene together. I know this was a tough one to do, so thanks for staying with it! I'm actually a big fan of Whale Wars. Just started watching it this year and I'm hooked. Can't say whether that influenced this piece or not. When I look at this I feel as if I'm under there with the whale in a serenely tranquil and beautiful icy refuge. Your art truly transports the viewer to another place and time. Also, I don't mean to be picky,but perhaps the orca would look more natural in this scene if it's body were to reflect light from the waves at the suggested surface. Thanks for the whale-free version. I don't find it boring just more peaceful. I try 'dabbling' in drawing and painting so I'm not real open to being a critic. 'those in glass houses, etc...' I was happy enough to have the first one for my desktop (althogh I had to hunt for it). I will say though it has been replaced by the new render. Thanks Ryan. A follow-up to my earlier comment, doing realistic wildlife is NOT easy. It takes a great deal of practice and training to do well. If you want to learn to do it though, the only way is to actually do it. I don't agree that you should stay away from doing wild-life. Further, I think it's important for you to publish your efforts online so that you can receive feedback. You're very good with the 3D digital medium and I would encourage you to keep challenging yourself by expanding into new subject areas. The only way anyone ever grows is by challenging yourself in new ways. Good for you! I would also point out that the tools for doing 3D illustration of people and animals are still in a fairly early stage of development. As the tools improve, that will be a big help to artists everywhere. Someone has to be among the pioneers though and it takes guts to do that. Pioneering is not for the faint-hearted! "Thank you so much, Ryan!" I'm sorry for being picky about figures, it's not that I don't like them, I just love the sceneries that you create. its good art. but idk about this one... I think the heads a little small. but then again... Im no whale expert so I may be wrong. though still very beautiful. I liked the first one, but it looked a little retro compared to your more recent work. The added texture and the orca instead of beluga really just make the whole thing more up with your more recent stuff. Amazing as always, Ryan! Keep up the great work! Now this one looks better, except that it's a bit darker. I was hoping you'd keep the beluga and just make it look better, but I like the orca too. I agree that the version without a whale is boring. The background by itself without the whale is kind of boring I think, but it was nice of Ryan to provide that as an alternative for those who wanted it. Any chance we'll get a Pickle Jar iPad collection? Would be nice to have a version without the wale in it..this updated version but minus you know who. "I appreciated the attempt with the beluga..."
....this is is just *outstanding*. Really, really beautiful. Love your work and have for years and though this may not be the most breathtaking of your work it still amazes me that you make these things from your own imagination. Keep up your artistic hands. Great improvement! I like the orca very very much. One of my all-time favourite wallpaper. The orca looks better than the beluga, but I still don't like it much. It's not just that it looks fake, it looks computer-fake. I would love to see a whaleless variation or something smaller like a flock of penguins as Tim suggested. The whale is just too intrusive. LOVE the rest of it though. "Maybe Penguins instead of the whale?" The ice looks great now, I love how you made it darker with light shining through. The orca seems much more fitting to me but I can see what others are saying. It is a huge improvement but it still looks a little fake. Maybe remove the whale completely and use penguins swimming around instead? Nicely done either way ryan. Wonderful as always. Ryan you are a true artist every work just gets better then those before. You have owned my desktop for years. Lovely image, Ryan! Much better than the beluga version, IMO. And also IMO, those who are complaining about a "lack of realism" need to visit their doctors so that they can get a fresh injection of imagination. If you want absolute, 100% adherence to real life, you're better off watching the Discovery channel. Love the underwater cave, the orca... well, not so much. One can only hope for a picklejar version without the orca. Stay away from animals? Are you and David both biologists or something? Give me a break, this is art not science. This "image screams" gorgeous to me, and the orca is no exception. I could care less about realism; if I wanted that I would subscribe to NG. Well done Ryan sir, you have my vote and accolade on this one! All the haters can chill out, pun intended. Yep, Orca defintely makes it better. Like them better than Belugas. This fits well with the current season of Whale Wars well under way. If you've never seen it before Ryan I highly recommend it! Awesome show, it's on animal planet if you get that channel. I'm cold just staring at it. Chilling, very nice Ryan! Title says it all ... when I first saw the preview image, I thought it was a blue whale, and I (out loud) said, "Oh, cool!" Then I saw it was a beluga, and I was like "Ah. A beluga. Oh, well." I don't know why, but I've always thought belugas were kind of ... uh ... ugly. But the orca is a definite improvement. Not as much as a blue whale would be, in my opinion (a la Fantasia 2000), but still cool. This one looks much better. I've noticed a few people making comments about the whale looking a little bit plastic. Well, the truth is, Orcas look a little bit plastic in real life. True, the image doesn't quite hit the level of "Holy Crap! Is that a photo?" but it's close enough that I still like it a lot. I personally would love to see more experimentation with this kind of subject matter. Keep up the good work! Very nicely done, I would say this is on the level of what I've come to see of late. Excellent re-work. tho is quite far away from that level of realistim we expect from you by now! 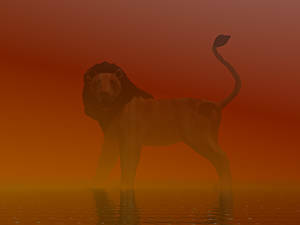 don't Worry THO... cause you have become a master of 3D art and i am sure you will eventually master the animals designs! its a matter of texture and time i guess! this one is a keeper! love the blue! im anxious for you next masterpiece! KEEP it up! cheers from Portugal! Maybe you should stay away from animals as a major part of your images for now. Because aside from that, your work is amazing. This one is great Ryan, thanks! There's actually a lot of life in arctic waters. This water appears too clear. The only living thing we see is the whale. If that was the case, it wouldn't be there. Orcas are predatory species. Hunters go where the prey is. The marine mammals and fish orcas prey on, feed on smaller life such as plankton and algae. The environment should be teeming with life. That's why the show "Deadliest Catch" is filmed in arctic waters. They're spectacularly fertile. Please don't feel bad, it looks good and I like it; but as a biologist this image screams out for more life to me. To get an idea of what I'm talking about check this website the Arctic Ocean Biodiversity Marine Census Project. ArcOD for short. It's a terrific website. I like the updated one better, although both are nice. Huge improvement. The orca's texturing is still a bit too smooth and fake looking, if I wanted to be nit-picky, but it's not bad at all. Thanks! I think it says a lot about you Ryan that you take into consideration your members' comments. Thanks for being awesome! Now it belongs in your collection. Nice update ryan! This is a great update, thanks Ryan. There is just something about the whale's head in this new version that doesn't seem quite natural to me. I think it has to do with the fact that it was initially a beluga whale and was then changed to an orca. Its head still resembles that of a beluga more than an orca. Orcas seem to have a less defined head than the beluga. Whereas the beluga's head becomes is noticeably smaller than the rest of its body at a certain point, the orca's head transitions much more smoothly to a smaller size, at least in my opinion. I figure since I posted a "criticism" on the original, I should post a "kudos" on the update. Well done! I like the orca version tons better. Great changes! Hey Ryan, This is the first feedback that I've ever posted for you and I've been a life time member for a couple of years now. I just wanted to say that this new render of Subarctic is fantastic. I agreed with everyone else about the first version, the whale looked a little fake, but now that you choose to switch it to a killer whale, wow. It looks absolutely fantastic. Kudos to you, Ryan! And thank you for all the work that you do, you are a truly talented artist.